NEW TECHNOLOGY THAT can restrict the speed of cars should be introduced in all new cars, according to Fine Gael Ireland South MEP Deirdre Clune. She is calling for Intelligent Speed Assistance (ISA) technology to be standardised in all vehicles in order to tackle speeding, particularly on Irish rural roads. ISA uses speed sign recognition video cameras and GPS-linked speed limit data to advise drivers of the speed limit. 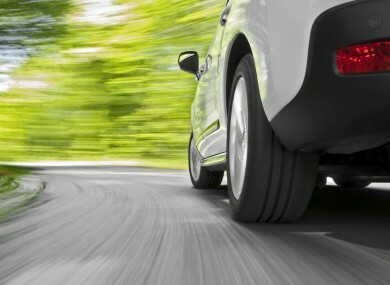 The system can automatically limit the speed of the vehicle as needed, though the driver is still able to override the system. Cars with this system are already available on the market and it’s expected to reduce collisons by 30% and deaths by 20%. Clune said this could be very beneficial for young male drivers and urged insurance companies to get on board and reward drivers who install such technology. I am calling on the insurance industry to support this initiative and offer lower premiums to drivers who use the technology, in particular for young men – a high risk category when it comes to speeding. This sort of program could be in cars sooner than expected. Next year, the European Commission is expected to propose mandatory vehicle safety standards for the European market. Clune said the commission is showing promising signs that ISA will be included. The Fine Gael MEP said it is good news for drivers, stating that ISA technology will inevitably help them to avoid speeding tickets by keeping their speed within the limits. Email “This technology could be installed in your car to restrict your speed”. Feedback on “This technology could be installed in your car to restrict your speed”.